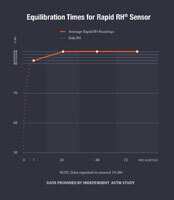 Home » The Rapid RH® Concrete Moisture Test » Concrete Information & Knowledge Base » RH Testing and That 72-Hour Wait: How Do You Manage It? RH Testing and That 72-Hour Wait: How Do You Manage It? 2018 Update – You no longer have to wait! See here. It’s especially frustrating now that research has validated the contention that a relative humidity (RH) reading taken at 24 hours is essentially the same as you’ll see at the 72-hour mark. However, until the ASTM F2170 standard changes, you must wait 72 hours to meet the standard’s requirements. In fact, your contract probably requires ASTM F2170 compliance for good reason: RH testing is the only moisture condition test method that reliably provides accurate readings and can dependably predict RH levels under service conditions. We wanted to hear how flooring installers and other concrete construction professionals on the ground handle the 72-hour waiting period. So we asked for their stories and how-to(s) on social media. They didn’t disappoint. Here are the most popular coping mechanisms shared. Clients. 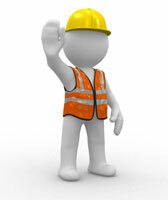 General contractors. It seems that educating them early and often about the 72-hour waiting period needed to comply with F2170 is an unwritten task on the project plan for flooring subcontractors. At least it has two great benefits. First, it makes sure that you get the full 72 hours built into the project timeline from the start. Second, it short circuits any pushback on waiting when the time comes. Regardless of whether the conversation about 72 hours happened during the planning stage or later, a lot of you handled it best by simply standing your ground. Any pushback to “beat the timeline” or “just get it done quickly” should be met with the confidence of your professional expertise. The standard requires a 72-hour wait. They’ve hired you for a reason. You’re the flooring expert, so insist you give them the benefit of your professional judgment. Some respondents offered their practical tips for getting the RH testing done. One suggestion was to use a moisture barrier if you can’t wait 72 hours, although others felt this approach should be used with caution. From a documentation perspective, it’s not F2170 compliant. From a practical perspective, if you don’t accurately know what level of moisture you have, how can you determine which moisture barrier is appropriate? As another respondent put it, “Patience [will turn out] a lot cheaper.” Basically, the most common-sense advice may be to just go about your work as it should be done without making a production out of the waiting period. Using the RH test method is written into project documents and contracts for a reason. No other test method provides as reliably accurate readings of a slab’s moisture condition. Why insist on the most accurate test method if testing won’t be executed properly? 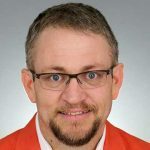 Perhaps you have some thoughts of your own regarding the 72-hour wait and how to manage it for the benefit of your clients and the success of your projects. If so, we invite you to check out Wagner Meters’ Facebook page and share your insights with us. Thanks!